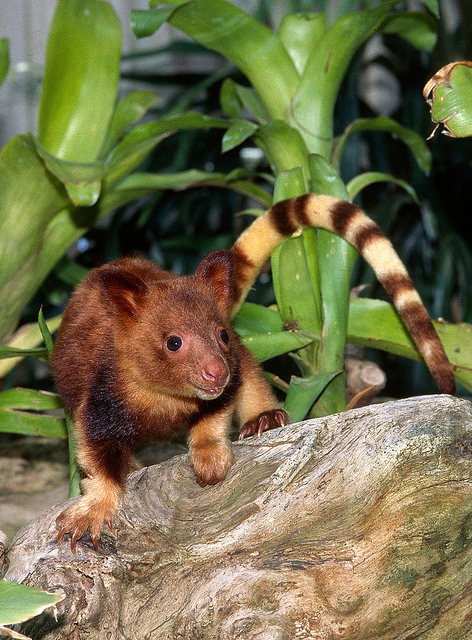 Family: Macropodidae – tree kangaroos, kangaroos, wallabies, pademelons, etc. Buergers/Goodfellow': Short, wooly fur; two yellow stripes run down its back; banded markings on tail. Climb trees (rare among marsupials). Move on the ground and also tree to tree. Walk, hop on two back legs, bound on all four legs. Efficient climbers. Browsing herbivores. Eat many types of plants on the ground and in trees. Meat-eating only in observed in captivity. Subject to much hunting pressure by humans (for food and trade by local people). Possibly very large snakes (not well-understood). © 2013-2018 San Diego Zoo Global. Taxonomy, Conservation Status, Longevity updates Apr 2018. 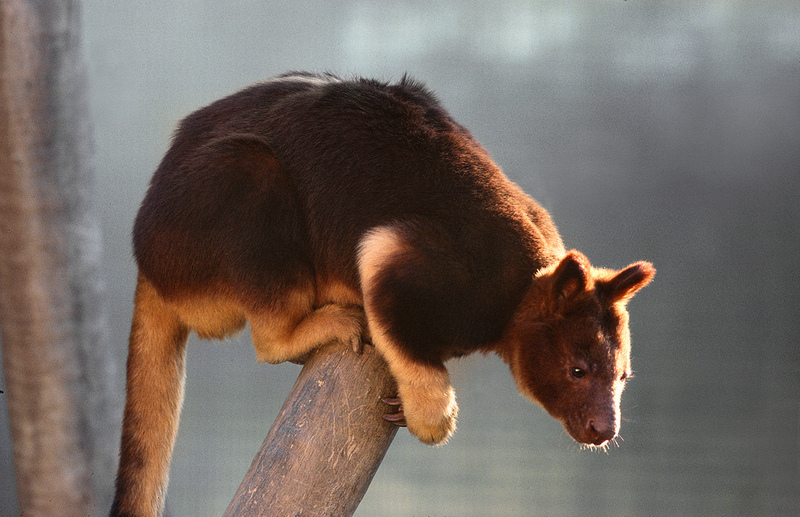 Buergers' tree kangaroo has bands and blotches on its tail. The patterns is unique to each individual.